She also mentions that “queso Chihuahua is made by the Mennonites who live there in settlements,” and that what people in Chihuahua like a creamy stringiness to their cheese. This recipe definitely provides that. 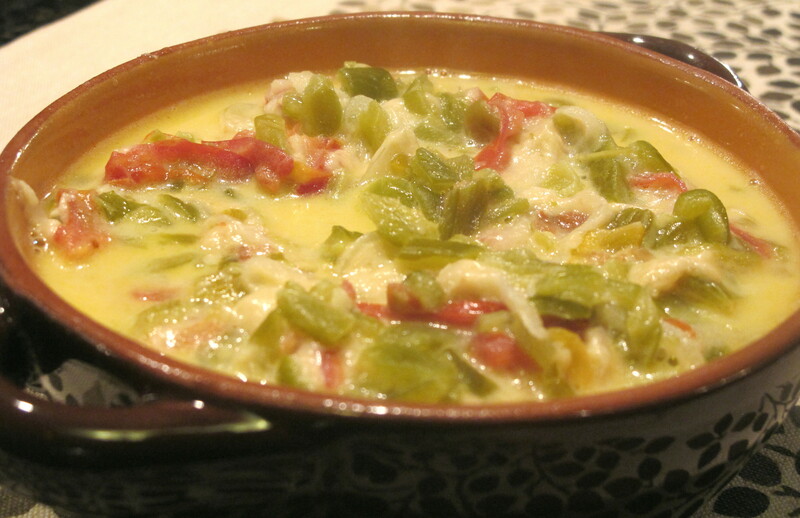 As mentioned above, this Queso is best served in hot tortillas. 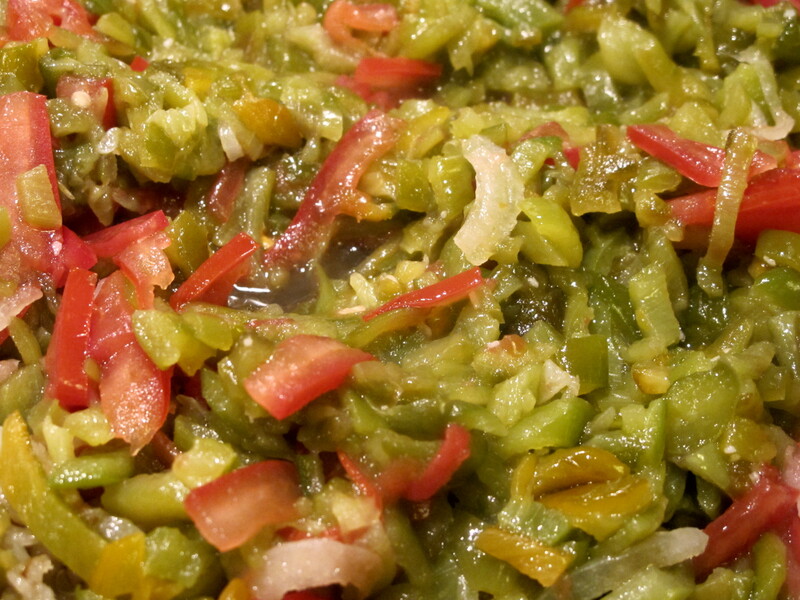 And it may seem like a lot of Anaheim chiles, but I think it is the perfect amount. Heat the oil in a deep skillet. 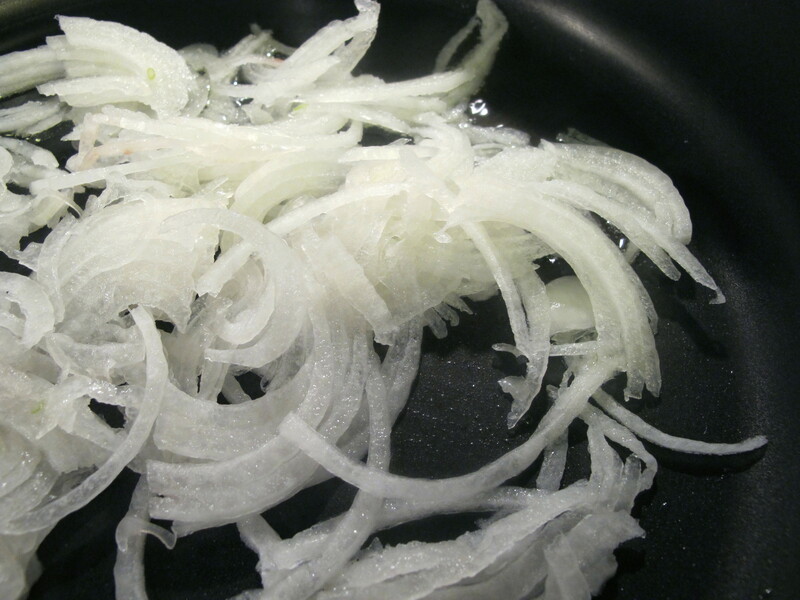 Cook the onion over low heat until it is soft and translucent. Add the tomatoes and the chile strips along with the salt. Stir and cover to cook over medium heat for about 5 minutes. Stir and add the milk and water. Cook for a few more minutes. 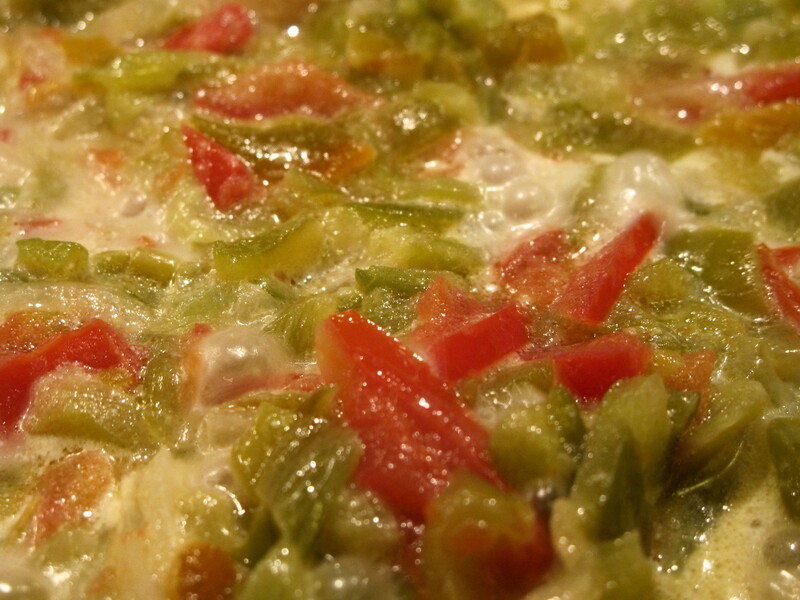 Add the cheese to the chile-tomato mixture and serve as soon as the cheese melts. Just in time to be ready for tomato and pepper season 🙂 I had the great pleasure of taking a class from Diane Kennedy when I lived in LA. What a great cook and teacher. I just pinned this. I love chile con queso! I haven’t tried her version. What kind of cheese did you use? I really like asadero, but I haven’t been able to find it since I moved out of Texas. It is good, especially with homemade tortillas. I used Chihuahua, but I also use asadero. I haven’t tried it with Muenster, as she suggests.